Fantastic big, bold Mexican brooch, handcrafted circa 1970s in Taxco, this brooch has a loop to be worn as a pendant. 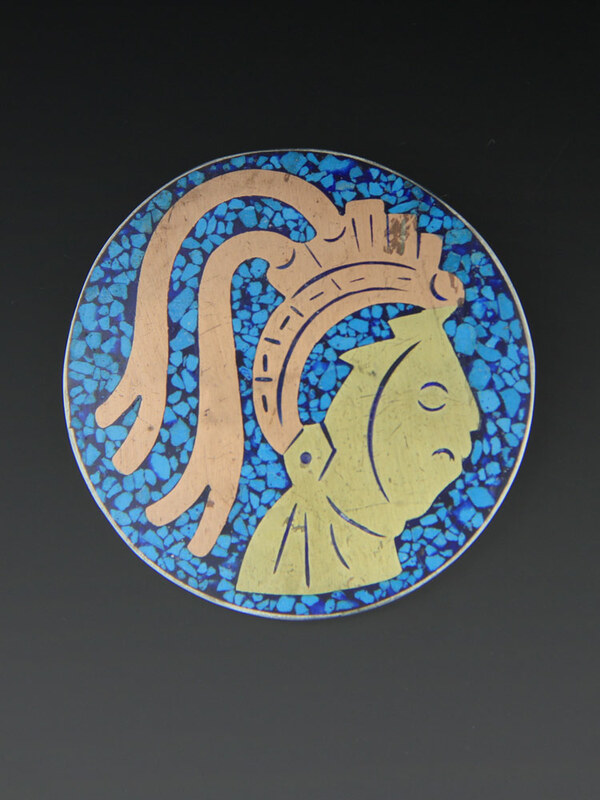 Crushed turquoise inlay with a Mayan motif in brass and copper. Nice, large brooch - bright colours and motif. Spectacular vintage condition. Shows mild wear commensurate with age, mild wear on the copper and brass (see pics). Not as obvious in person as they are in magnified pic, particularly since I have buffed it, priced accordingly , no chips, will come with some patina, as level of polish is a matter of taste. Has a handcrafted look to it - amazing vintage piece. 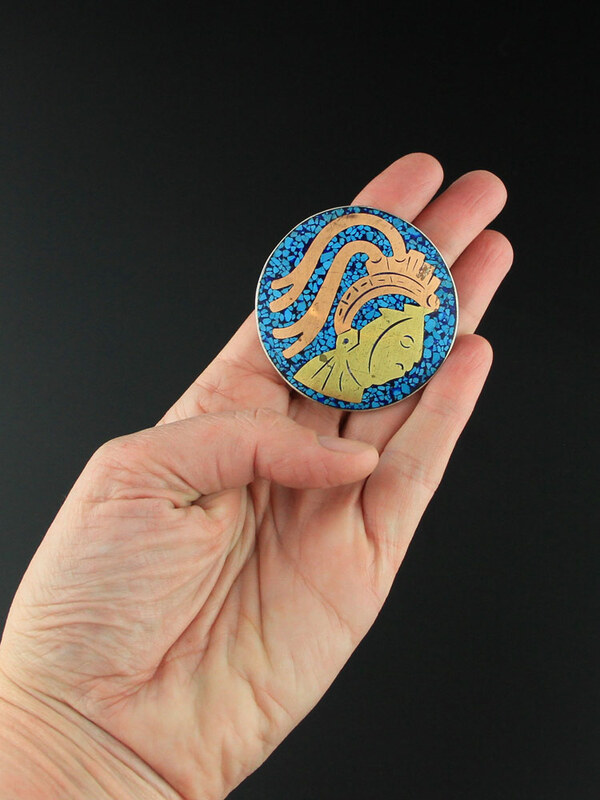 Chip inlay is a jewellery technique whereby cavities are carved into silver and filled with a mixture of crushed natural stone; typically turquoise, coral or lapis and an epoxy resin. 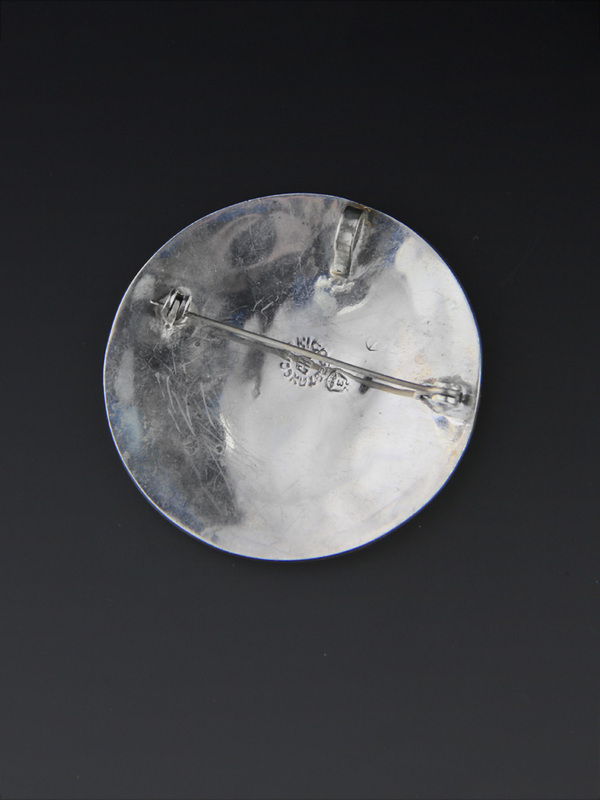 Once the resin has cooled and hardened, it is polished smooth. The technique is popular in both Mexican and Native American jewellery - the colour often vibrant and the layers of crushed stone give a nice depth.